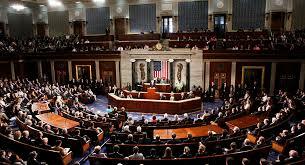 The US House of Representatives has on Thursday voted on a draft resolution regarding the suspension of US support for the Saudi-led coalition in the war on Yemen. 248 members of the House voted in favor of the resolution, while 177 voted against it. The United States has been supporting the Saudi-led coalition in Yemen with missions to refuel aircraft in the air, as well as support for information gathering and targeting since the start of the war in 2015.